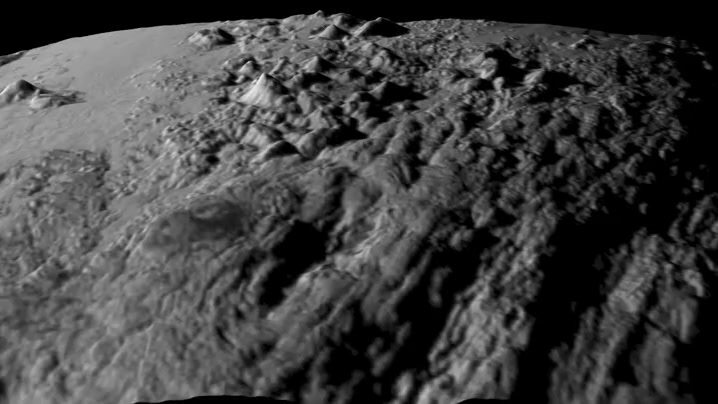 In less than 12 hours New Horizons will make its closest approach to Pluto. Much of its instrumentation is fixed so the antenna wont be pointing to Earth. New Horizons will start beaming data back to Earth at 1 kbps while it still does science, which will upgrade to 2kbps once it powers down its science instruments. It will take about 16 months to send all the data back to Earth. Do you know the order that we will get the information? I'm excited. 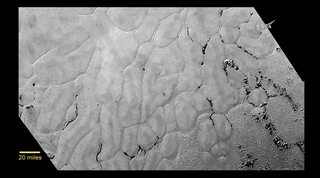 I remember when this mission was first being set up, and it seemed like 2015 was impossibly far away to finally find out what Pluto looks like. Even the first few pictures we've seen in the past few days showing its color have been incredible. I think the plan is to get some low res images asap for the press and public. Low res my rear end. The one that's up now is sharper than a fistful of thumbtacks. XKCD has an amusing analysis of the patterns on the surface. 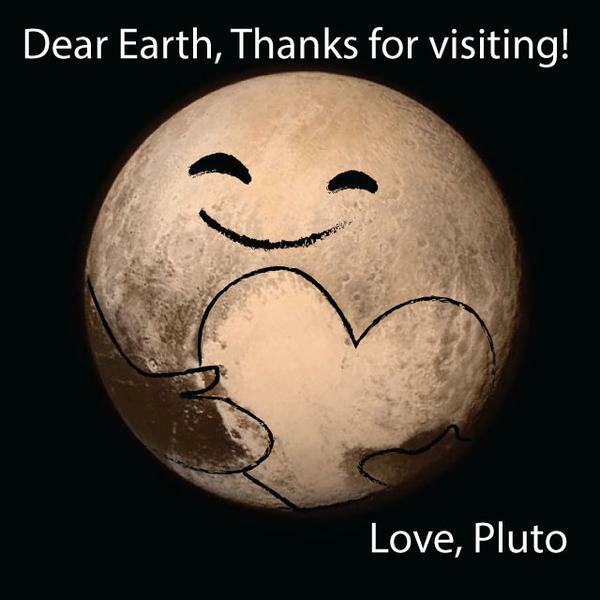 Below is Pluto. No impact craters so surface age is less than 100 MY. Do not think it is tidal heating. The bedrock ice is thought to be H2O. Have they found any additional moons besides the ones we could see from earth? Nope, which somewhat surprised them. What's the black fuzzy stuff in some of the cracks? Do we know yet? Not yet. The images we are getting are also highly compressed jpgs. 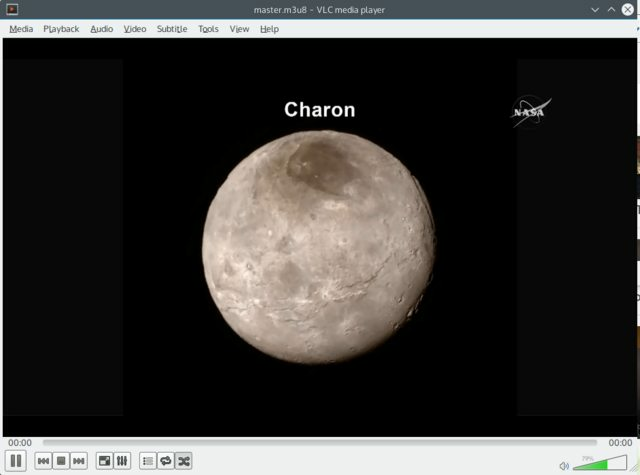 NH is still doing science so it can't spend a lot of time pointing home to transmit the complete images. 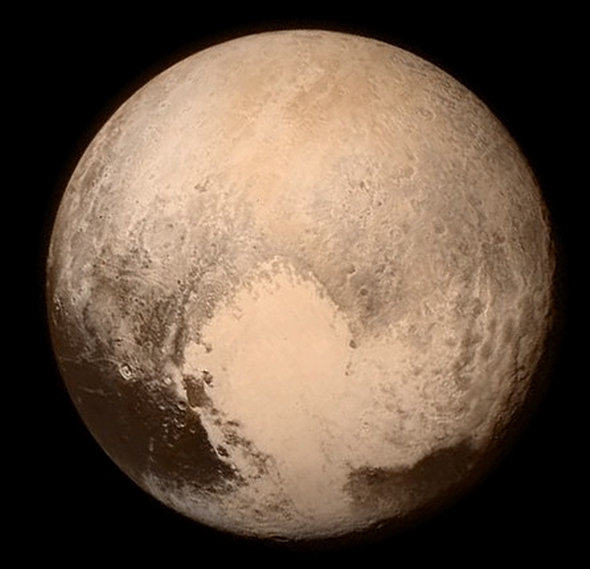 How long before New Horizons a Vorlon planet killer masquerading as a Kuiper Belt Object?